Once again DADS came up trumps with their production of Calamity Jane , not least because they had managed to recruit eight new thespians in the production as well as retain some long-time favourites. To give a new recruit, Maxine Ford, the lead role of Calamity Jane was cruelty itself, but it showed what a brave girl she was! She performed with great courage and sang with confidence what was really a very difficult part: she swaggered and boasted as an out-and-out tomboy, then showed she could be more feminine after all and love a man. 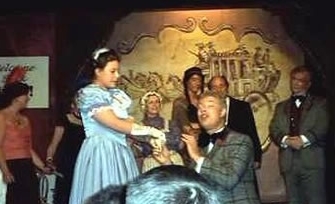 The other newcomers included Sarah Johnson in her first adult role (who has obviously inherited her father’s talent) as a splendid Susan and the Saloon girls, Sue Booys (who was so heavily disguised with a long black wig that many people did not recognise our very own Rector) and Lucie Hall. They both looked as though they were thoroughly enjoying their debut on the stage, no doubt well-coached by the more experienced Shirley Davies and Angie Paterson, the other two Saloon Girls. They all played and sung with great aplomb. 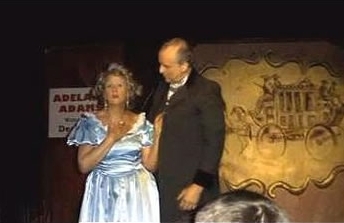 Debbie Clayden made a stunning and strong debut as Adelaide Adams. The Deadwood menfolk playing for the first time on our stage were Richard Booys (Doc Pierce), Matthew Sparling (Pete), Mark Wilkin (Francis Fryer). All were excellent in their portrayal of the Wild West Boys. 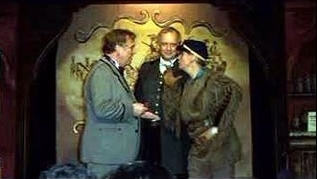 Another new player was James Nibloe who brilliantly played the role of Hank the poor man who came to Deadwood to entertain the Wild West Boys under a mistaken identity and was forced to perform on stage as a woman until his gender was quickly identified. We very much hope they will all want to return to the stage in future productions. There were of course many old favourites back again: Geoff Russell (apart from making the health and safety rules very amusing) played the part of Miller in charge of the Golden Garter Saloon, trying to keep the Wild West Boys under control and organise entertainment for them, and as always he played the part brilliantly. Rosemary Mills (Katie Brown), Terry Chipperfield (Bill Hickock), Mark Johnson (Danny Gilmartin) and Michael Herbert (Rattlesnake) played their roles expertly both when singing and acting – we always love seeing them and hope we will continue to do so on many future occasions. 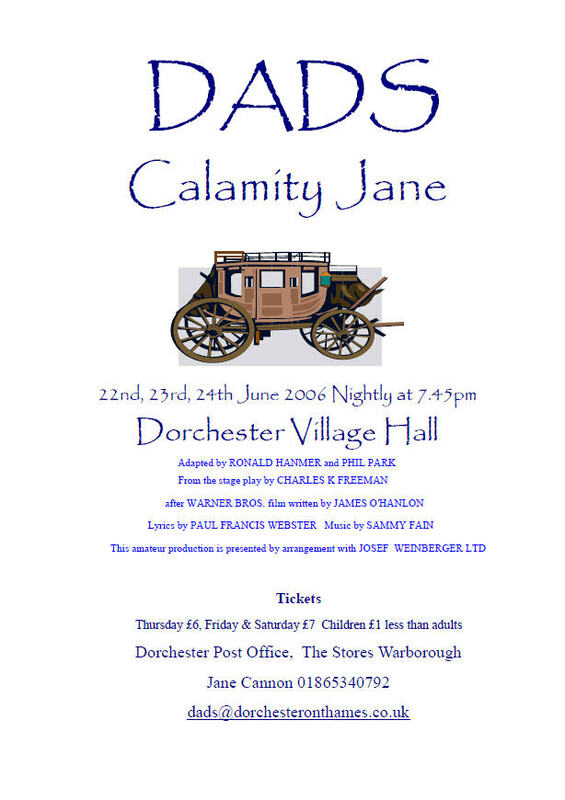 DADS productions are always so well staged – scenery, props, lighting and sound effects – all by a team of real experts, we sincerely hope that they too will continue to do so in future productions. Director Terry Chipperfield (assisted by Rosemary Mills and Mark Wilkin), took a production originally created for the screen and staged it craftily with another clever set designed by Michael Herbert, constructed by Michael Herbert and Colin Newton, and painted by Adrian Brooks and the company. John Howell, Music Director, kept the music at a breakneck pace, at least on Saturday night! Jane Cannon once again provided tight backstage management during the show and Maria Robertson designed the very effective choreography and movement. As usual, Simon Ratliff provided superb lighting and sound effects. The costumes, organised by Rosemary Mills, were especially delightful, especially as lit by Simon. The front of house and bar staff, led by Gay Goodall and John Mills, (with Allan and Jan Smith), respectively, must also be recognised as providing a friendly and satisfying service! The audience very much looks forward to the next DADS show. Anyone in the village who has not seen a DADS show really misses a lot of talent. 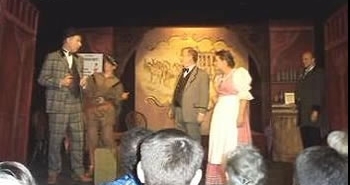 Calamity Jane featured a strong cast assisted and managed by an able (but familiar) crew. Keep up the good work!